We specialize in manufacturing, exporting and supplying a qualitative assortment of Stainless Steel Storage Tanks. These tanks are assembled using innovative technologies and modern machinery by our team of experts. Owing to robustness, corrosion resistance, high efficiency and sturdiness, these storage tanks are highly admired by our respected clients. 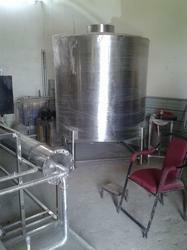 Further, to satisfy our patrons optimally, these tanks are available at pocket friendly prices. 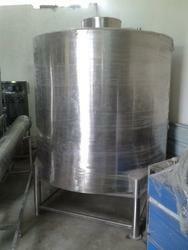 We are among the successful names in the industry for manufacturing and supplying Juice Stainless Steel Storage Tanks. The offered tanks are made in tune with the latest generation techniques and are ideal for storing beverages. These tanks are spacious and resistant to stains and corrosion. The offered tanks are seamless in terms of finish and resistant to abrasion. Looking for Stainless Steel Storage Tanks ?